The Player update is here with Trimble SketchUp Pro 2019 support, plus support for Chaos Group's new V-Ray Next for SketchUp! The newest version of our Laubwerk Plants Kits product line features updates and improvements for our Trimble SketchUp users. Download the latest free update from our website and enjoy the improvements! Potsdam (Germany), March 25, 2019: German digital botany software company Laubwerk announces the release of version 1.0.28 of their successful player plugins for Laubwerk Plants Kits, a collection of render-ready, realistic 3D plants designed specifically for architects, CG, and VFX artists. All Laubwerk Plants Kits, including the Freebie Kit, now include the updated Laubwerk Player extension for SketchUp. 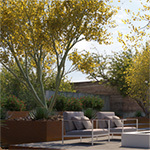 "The new SketchUp 2019 and V-Ray Next make designing and rendering even more of a pleasure. Now, Laubwerk is happy to join in, with a fresh bouquet of new performance and design improvements!" says Jesse Farber, software developer and SketchUp artist with the Laubwerk team. 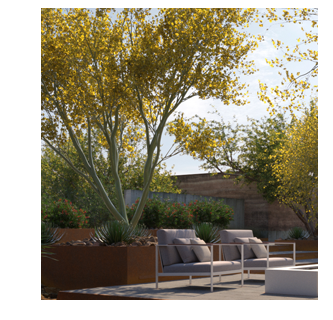 "Working with plants is easier than ever before with the unstoppable new Laubwerk update for SketchUp, and the results are incredible! 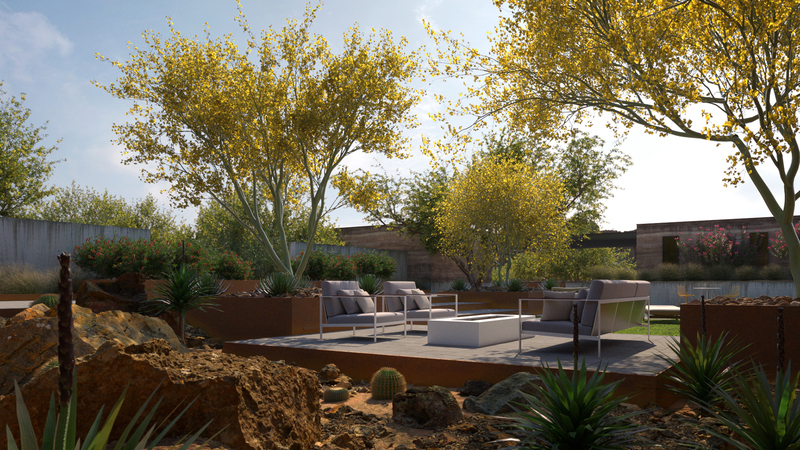 We love Laubwerk plants and have included them in several of our showcase projects," says Terry Pisel, head of Try Design, a multidisciplinary architectural visualization and rendering studio based in Scottsdale, AZ. Read the full list of improvements and fixes in the Release Notes. To get the updates, sign in to your Laubwerk Account page and download fresh installers for your Plants Kits (Note: you only need to download one Plants Kit, e.g. the Freebie, to update the SketchUp Player extension). Windows users are advised to uninstall previous versions of the Laubwerk Player plugin before running the new installer.